Our selection of designs here are softer and perhaps more traditional, but we are also happy to work with you to create your own design. 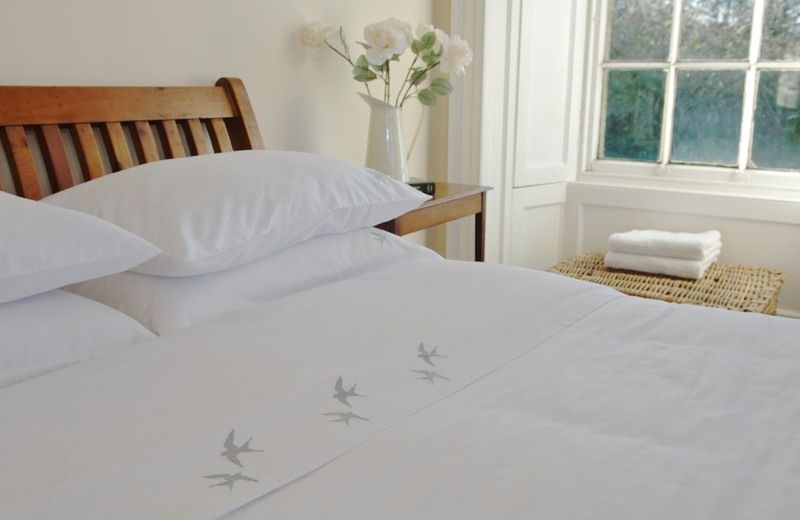 If you have an image or a sketch of something you would like embroidered onto your luxury bedlinen, please send it to us and we will create your very own unique set. Each piece is expertly embroidered in your choice of colour. Some of our favourites are below but there are hundreds of others available too. We will happily send you a sample and can also colour match with a sample you might have. 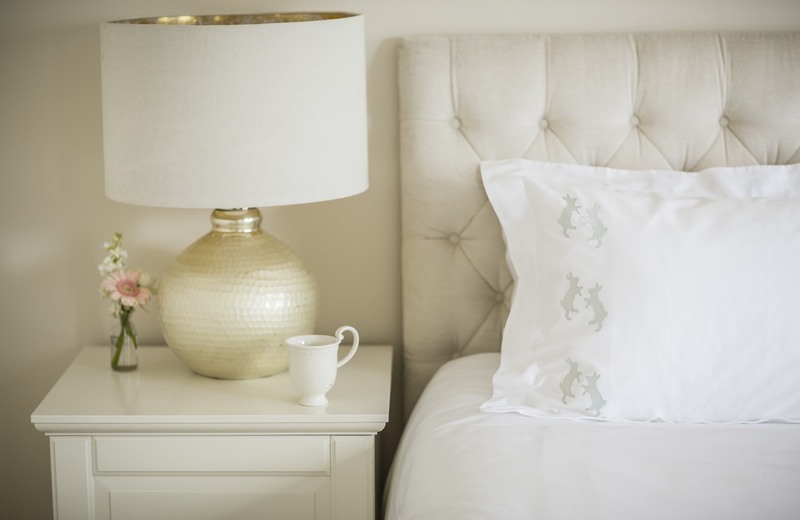 Whether you are town or countryside based, our delightful pairs of playful hares are sure to leave you dreaming of sun-soaked fields and meadows. 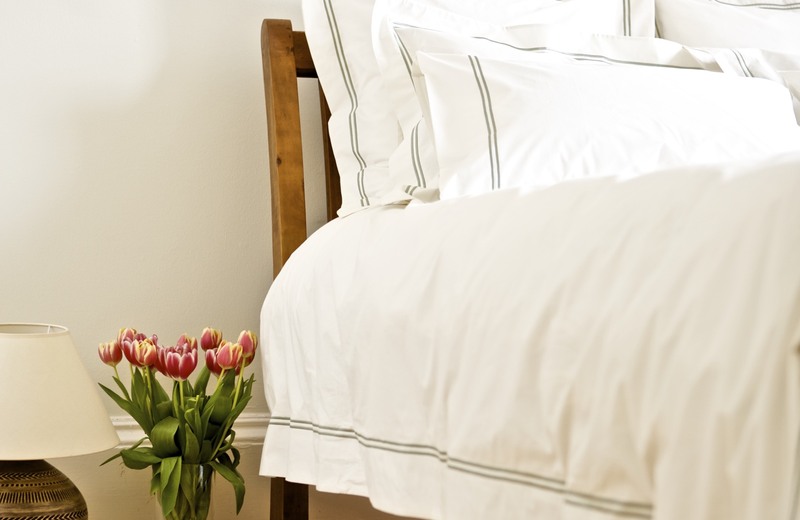 Choose a colour that complements your bedroom. 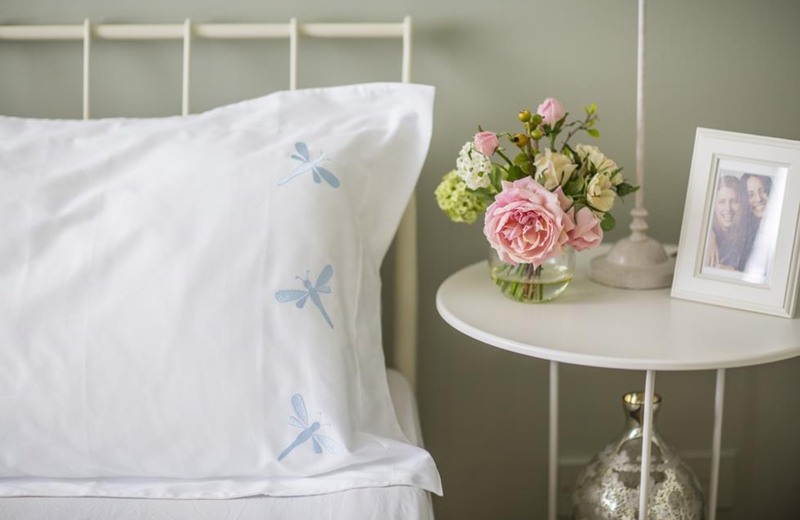 These pretty embroidered Dragonflies capture the calming and peaceful nature of these little creatures perfectly. They were created from inspiration found on delicately hand-printed wallpaper.